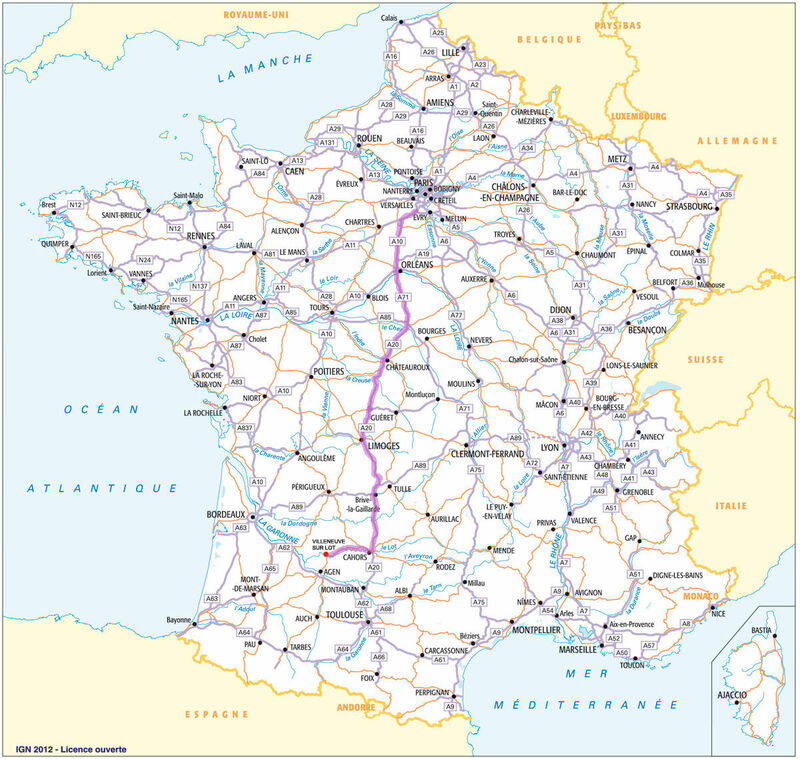 The distance from Paris to La Bakénia is about 650 km. The most likely is via Limoges and Cahors. Click here for a Google Maps map. 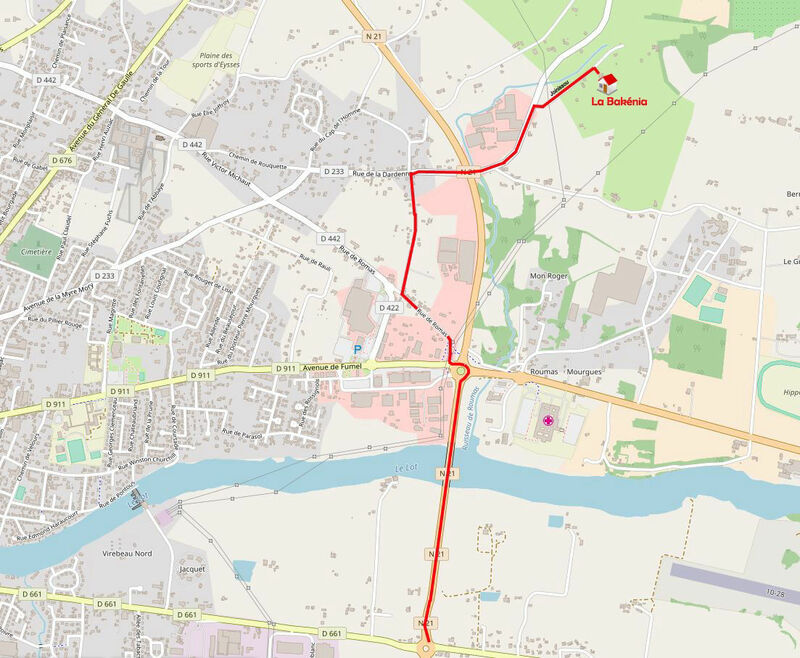 You can also enter Villeneuve sur Lot as town and "Joinissou" or "Lieu dit Joinissou" as street. If this does not occur in your GPS then try as street Jouanissou or Talou. Bergerac and Agen have an airport. Look on the internet for cheap flights by Ryanair or Easyjet. Ryanair has cheap flights between London STD and Bergerac. It is advisable to rent a car at the airport, so that you won't be here without transportation.